The global cellphone market grew 12.8% in the third quarter, showing the second-lowest growth rate over the past two years due to conservative consumer spending and delayed smartphone purchases, research firm IDC said on Friday. Growing demand for new, often cheaper, cellphones in emerging markets has kept the overall market growing, and new smartphones such as Apple’s iPhone 4S should boost sales in the holiday-sales fuelled fourth quarter. “The combination of economic uncertainty and anticipation over fourth quarter or late third quarter product releases caused some consumers to delay their smartphone purchases," IDC analyst Kevin Restivo said in a statement. “Many waited for products such as the iPhone 4S, which was announced after the quarter closed, or Research In Motion’s (RIM) BlackBerry 7 phone series, which were released in the final weeks of the quarter," he said. 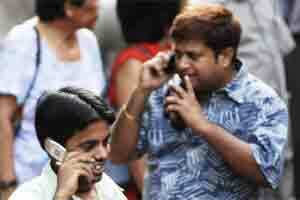 Research firm Strategy Analytics estimated the growth at the overall handset sales at 14% in the quarter.